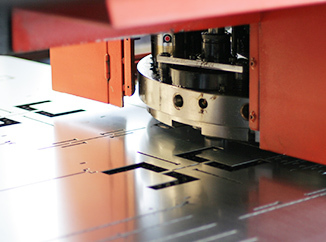 In general speaking, the sheet metal part can be made by one stamping production such as punching, bending, cutting, forming process. More often that part is made by a series of stamping process. 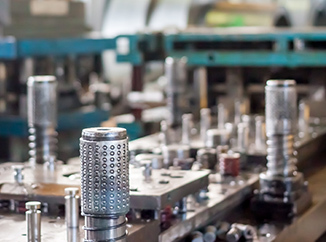 Stamping mold could approximately separate into single stage mold, multi-single stage mold, and progressive mold. Based on the features of product, the stage could apply the action such as Bending, Embossing, Blanking, Coining, Drawing or deep drawing, Stretching, Necking, Curling and Hemming in one punch process. Based on the quality stability, the purpose of the stage is to combine more than one action in one punch process. 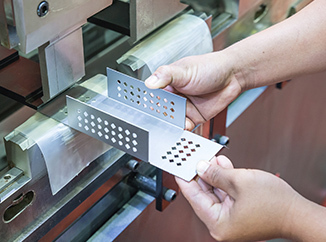 Progressive stamping is an integrated method that can include punching, coining, bending and several other ways of metal process, combined with an automatic feeding system. 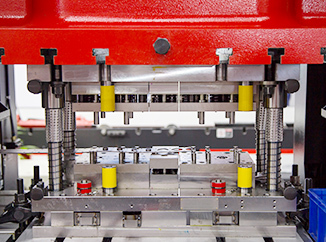 The feeding system pushes a strip of metal through all of the stations of a progressive stamping mold. 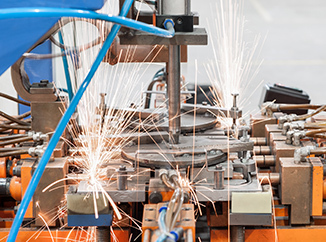 Each of the station performs one or more operations until a finished part is made. The advantage of progressive mold is to increase the efficiency and stability, and the best thing is to lower down the cost. However, the cost for a progressive mold is higher than single stage mold depending on how complicated the item is.